Cisco has outlined a path for profitability for channel partners in New Zealand, with distribution front and centre of growth ambitions. With the dust now settled on one of the biggest shake-ups in the history of the Kiwi channel, the tech giant is going to market through a streamlined supply chain, spanning the vendor’s entire ecosystem of partners. From resellers, service providers and system integrators, to application developers, consultants and start-ups, Cisco has created a new-look channel model through a refreshed distribution strategy. 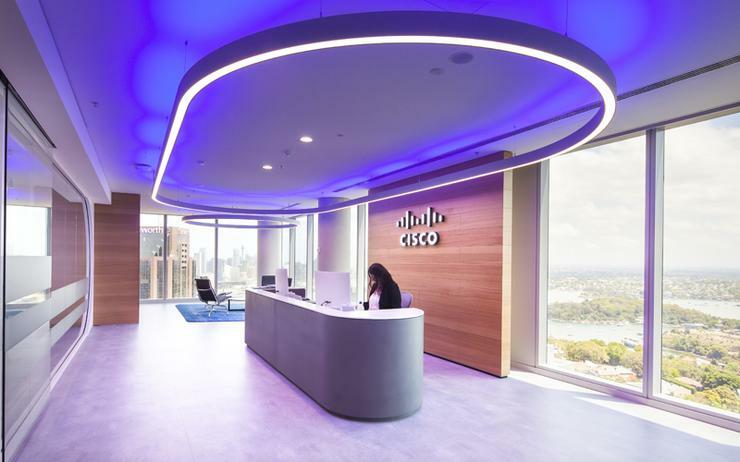 “Distribution is more relevant in New Zealand than many other geographies that Cisco operates in,” Cisco regional sales and operations manager, Leanne Buer, told Reseller News. “Distribution helps Cisco provide great partner intimacy in market, alongside providing value-add in the supply chain around areas of the business not core to our partners. Since overhauling distribution processes in New Zealand - and parting company with Dicker Data and Ingram Micro - Cisco’s local strategy has come under intense channel scrutiny, for better or worse. Following a detailed six month tender process, the move was labelled as the biggest change to the vendor’s go-to-market strategy across the country for over a decade, with the deal sending shockwaves across the country. Such a seismic shift naturally creates ripples, but as the water calms, a clearer channel strategy is emerging. “We’ve been on a journey together,” Buer acknowledged. “We’ve been getting all the partners on-board and Westcon-Comstor has done a great job given the steep increase in transactions. Specifically, Buer said the vendor is leveraging Westcon-Comstor to bolster cloud capabilities through Bluesky, the distributor’s cloud platform, with Cisco Umbrella now added as a software-as-a-service (SaaS) offering. Following this, Buer said the second phase involves developing a usage and adoption practice to allow partners to maximise investments through Cisco. “We are also leveraging Westcon-Comstor to help gain awareness on our Cisco Start portfolio,” Buer added. “This focuses on IT solutions for small businesses, which provides partners with greater simplicity and ease in doing business with us. Cisco’s new strategy will be on show during Imagine 2018, set for 17 May in Wellington. With a bumper crowd of channel partners descending on the capital city, Imagine is an event series delivered by Westcon-Comstor, specifically designed for IT professionals, resellers and integrators, driven by thought leaders, leading vendors and market insights. 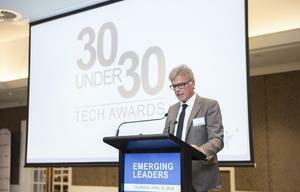 Triggered by Cisco Start, and backed up by distribution, Buer said the tech giant is focusing on the lucrative small to medium business (SMB) sector in New Zealand, with the channel well positioned to capitalise. “The New Zealand channel is experiencing significant growth and change, and Cisco is organising and investing to support this,” Buer said. “We see great opportunities if we can extend our reach to SMB customers, via regional and specialist partners. “Enabling our partners continues to be a focus, given the external influences such as economic and regulatory factors. Furthermore, Buer also committed to increased investment in “partner facing” roles within New Zealand, in a bid to enhance capabilities across a wide ecosystem of providers. Such commitment will be bolstered by continued investment in global research and development (R&D), spanning advanced technologies and strategic acquisitions. For Buer, partners can extract value through becoming experts at service creation in an “agile way”, while also bolstering capabilities within security, from the network, to the endpoint, to the cloud. “Partners must up-skill to where the value pools are, from low-level to design, to architectural consulting,” Buer advised. “There’s value in moving to become the aggregator that can work across multiple vendors and bring a solution together. “Almost all of Cisco New Zealand business is through partners. 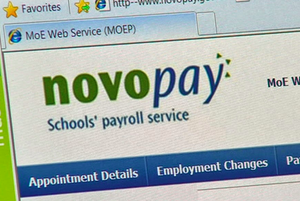 We consider ourselves a customer and partner driven organisation. In outlining criteria for success in the local market, Buer said partners are becoming more aligned from a selling proposition to an operational capability, working with Cisco across all aspects of the organisation. “We have a relationship that means both parties understand how we are better together, how we strategically align, and are up front about where we won’t go to market together,” Buer said. In assessing the current state of the technology landscape in New Zealand, Buer cited continued growth of hybrid models in the local market, driven by a desire to operate multi-cloud environments. From a partner perspective, such an approach can be complex and difficult to manage, as customers demand greater visibility and control over workload deployments. “Our strategy is to deliver solutions to simplify how customers work in a multi-cloud world to maximise business benefits,” Buer said. To achieve this, Cisco is delivering infrastructure and cloud-based SaaS offerings, while expanding analytics solutions into the public cloud. “Our intent-based networking approach will be critical to this process as well,” Buer added. “The New Zealand Government consumption model shift is also a contributing factor, with the as-a-service model bedding down and expanding. “OPEX models are also being sought by mid-market customers, and security can no longer be relegated to a “good enough” position. With new technologies flooding the market at speed, and at scale, the onus is on the channel to step up or step aside. Irrespective of the solution or offering, customers are seeking advanced levels of protection as global cyber threats reach Kiwi shores. “There is a need for greater security in an always on world,” Buer observed. “Every customer knows that nothing is more important than security, it’s a requirement of digitisation. Technology aside, Buer said the market is also seeing consolidation from a vendor perspective, with both customers and partners favouring a quality over quantity approach. “This requires a deeper understanding of fewer vendors,” Buer added. “Many partners understand the merits of standardising their offerings, and it requires unity from the sales messaging right through the organisation’s functions. “Also, key market trends include the changing risk profile offering as-a-service instead of a group of technologies, with a desire for agility and choice of consumption, baked in.